From left: Spoonbridge and Cherry, by Claes Oldenburg and Coosje van Brugge in the renowned Minneapolis Sculpture Garden at Walker Art Center; grilled rainbow trout at Young Joni. 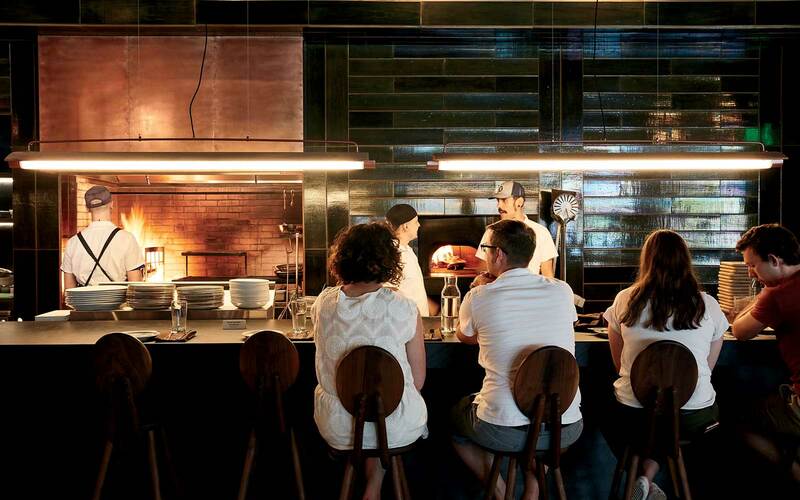 The bar at Young Joni, a Korean-influenced restaurant in Northeast Minneapolis. 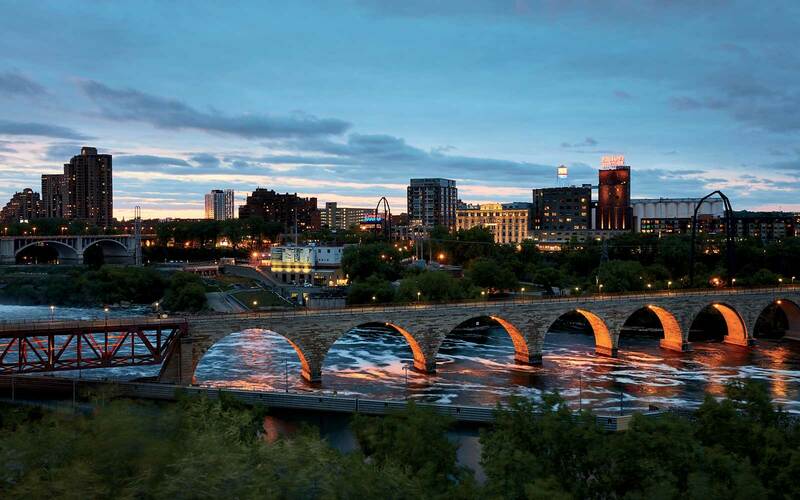 The Stone Arch Bridge over St. Anthony Falls, in Minneapolis. From left: The North Loop neighborhood, in Minneapolis; menswear shop Askov Finlayson; the famed Grain Belt sign by the Mississippi River. 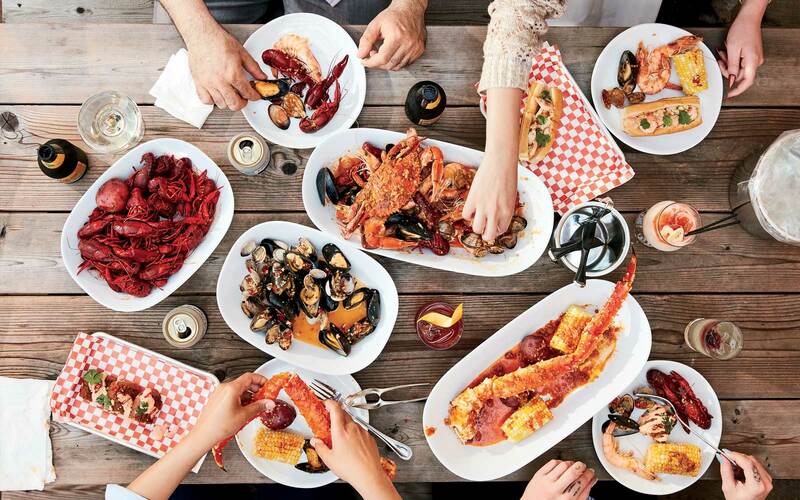 The Viet-Cajun seafood boil at Grand Catch, in St. Paul. From left: Grand Catch, a St. Paul Viet-Cajun seafood spot; Balinese chicken thigh at Hai Hai, in Minneapolis; a sever at Parallel espresso bar. 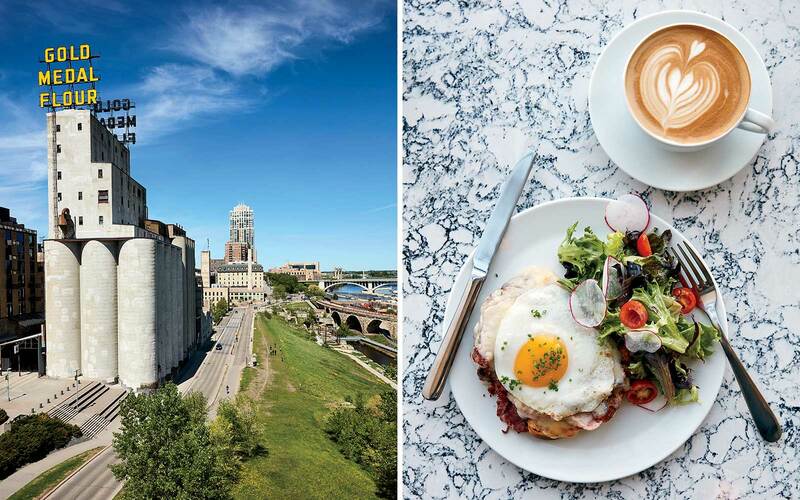 From left: A view along the West River Parkway, in Minneapolis; a croque madame at Parallel, an espresso bar in Minneapolis. 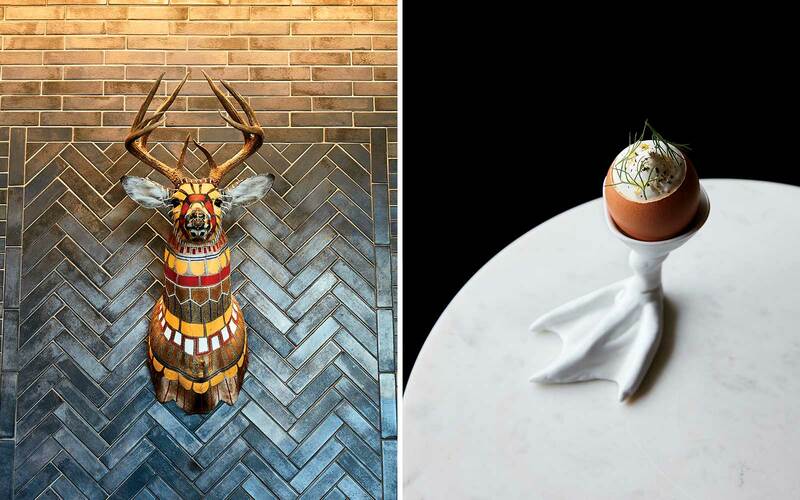 From left: Lobby décor at the Hewing Hotel, in Minneapolis's North Loop; sturgeon custard in an eggshell at Grand Café, in South Minneapolis.